Russian game lapta is dating back to the 14th century have been found among the ruins of Novgorod the Great (335 miles northwest of Moscow). 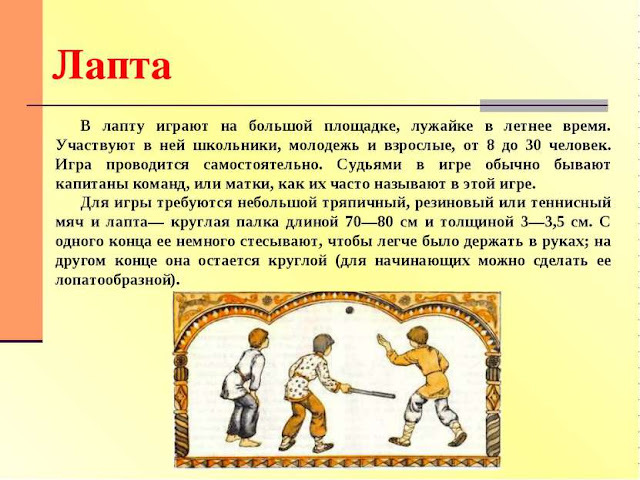 In the 18th century lapta was an important activity for physically preparing the soldiers of Peter the Great’s army. Later the game became a major pastime.